Grab these 17+ fun and creative homeschool planning pages for your school year. Whether you are starting a little late or need some extra help with planning, these resources will help you get through your whole homeschooling year. The pages are full of ways to organize, set out your child’s goals, establish your homeschooling goals, track your child’s reading, and so much more. 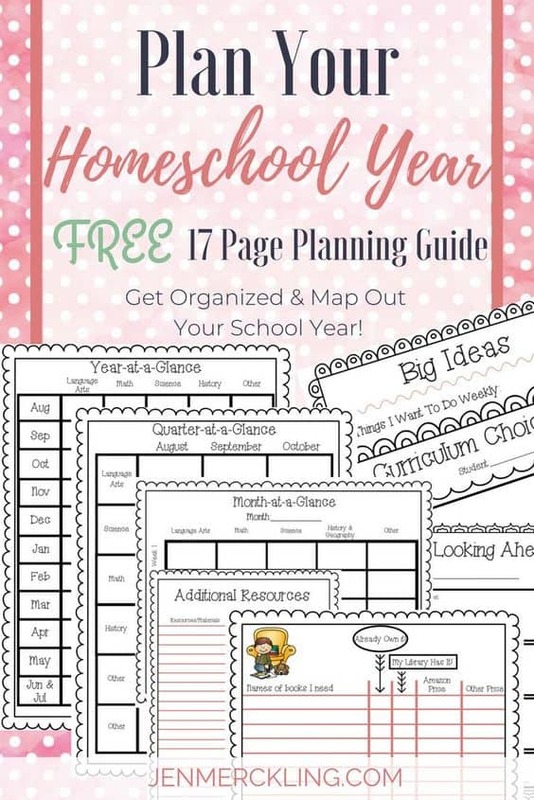 Click here to grab this awesome 17+ page fun and creative homeschool planning resource from Jen Merckling.